I am very lucky to have a very good lecturer of Feng Shui. Absolute, from beginning until the end of class, I followed and I was happy with Master explanation. I was very happy with the Basic & Advanced Feng Shui course. Thank you very much to our Master. The feng shui courses is a no nonsense intensive class and gives you the tools to be able to apply to our life rather than too much dwelling on theoretical literature. Practical is my choice of word to express. Master Tan give a lot of examples and put in simple terms to explain. He is very patient in explaining. I would recommend anyone interested to learn from Master Tan because you get more than what you pay for. For exterior feng shui, buildings are virtual mountains while roads and highways are modern equivalent of rivers i.e. virtual rivers. Hence, buildings and roads influence the feng shui of a space or your business premise. Road acts as river and vehicles acts as water. Cities have qi movement and qi reflection that are chaotic and unpredictable as more buildings and roads are built. Traffic flows are re-planed and diverted regularly. These add to changes in qi flow and qi settlement, hence making external feng shui change frequently which resulted in rise and fall of business organisations. Increase Your Concentration, Productivity, Prosperity and Abundance. Business Feng Shui for business premises such as corporate offices, small offices, retail stores, shops or factories. Would you like your business to be more prosperous, making profit and no cashflow problem? Would you like a more harmonious work environment that supports you and the people you work with? How to increase your concentration and productivity in work? What to do when your staffs do not get along? 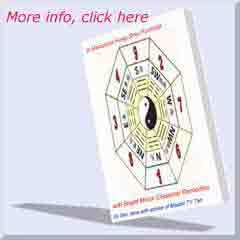 Business feng shui formula is different from residential feng shui formula. 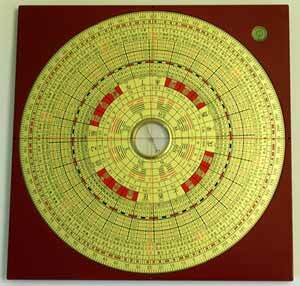 In business feng shui, the focus is on 'yang' Qi. The use of 'yin' Qi is not applicable. It is 'yang' Qi management and the use of 'yang' Qi in business processes to attain high efficiency and effectiveness. In feng shui, having a correctly located natural water form is the most powerful feature that can enhance income and wealth. I would like to elaborate on the various types of exterior natural water form. When there is an absence of exterior natural water form, the exterior artificial water form could be created to activate wealth luck. Note that the natural water is superior to artificially created water. The water mouth, which is also known as the wealth spot is the location within the entire water form which is the most vibrant. 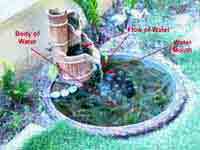 Activating the water mouth is the most powerful feng shui secret for wealth and income enhancement. To have a water feature that brings amazing wealth luck, we have to work on the Ba Gua, 24 mountains of Fei Xin and 64 hexagrams Da Gua fengshui formula to locate the Water mouth (Wealth Spot). If an auspicious timing and day is selected to activate the water feature, the Chinese called it activating the Water Dragon, the effect, intensity and quantum of wealth luck is going to be tremendous. for Xuan Kong Feng Shui Masters and Practitioners. 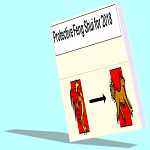 If you are a Xuan Kong Feng Shui practitioner on Flying Star Feng Shui and/or Da Gua Feng Shui school, this is the Luo Pan that will enhance your image and professionalism. No more referring to Star charts or tables during an audit. Most useful for Chinese or non-Chinese Practitioners. For more detail on the Luo Pan, click here. Click here to read the Feng Shui articles. A very auspicious direction for properties built after February 2004. If you are house hunting for a good Feng Shui house, properties facing between 202.5 degrees to 217.5 degrees built after February 2004 has great auspiciousness. I have written about such a house in the GOLF Malaysia magazine in 2009. For more detail, click here. 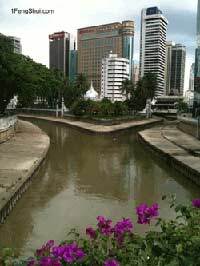 For location map to 1FengShui office, click here. Feng Shui is also spelled as fengshui, fengsui, feng sui, fong shui, fung shui, or feng shway because of the many dialects in Chinese society.